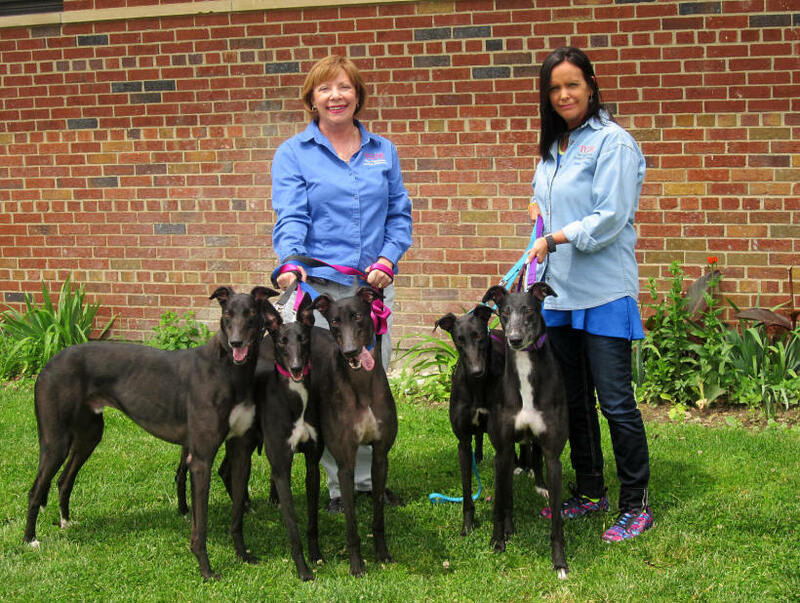 TGIE welcomes in 20 black greyhounds in an effort to raise awareness of the beauty and uniqueness of each black greyhound. 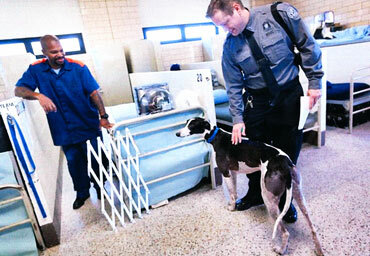 The one thing we hear repeatidly is "we have an overabundance of black greyhounds waiting in the kennels." Why? You might ask. Well, for some reason, adopters just don't seem to favor the black greys. 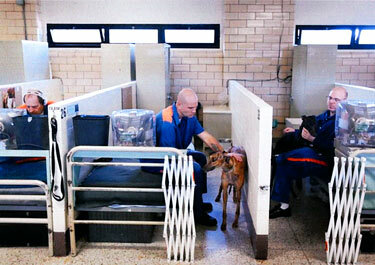 They often wait months to leave the kennel and may wait a few more months to find a forever home! 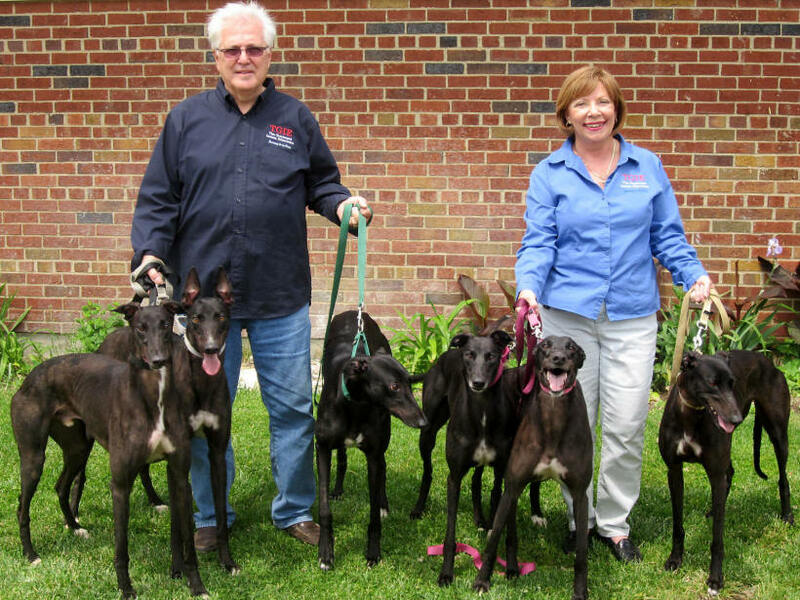 TGIE, the team of handlers and our adoption partners have made a committment to promote and encourage all interested adopters to seriously consider a black greyhound. They are beuatiful with their shiny, glissening black fur, brown eyes, and touches of white from head to toe to tail! 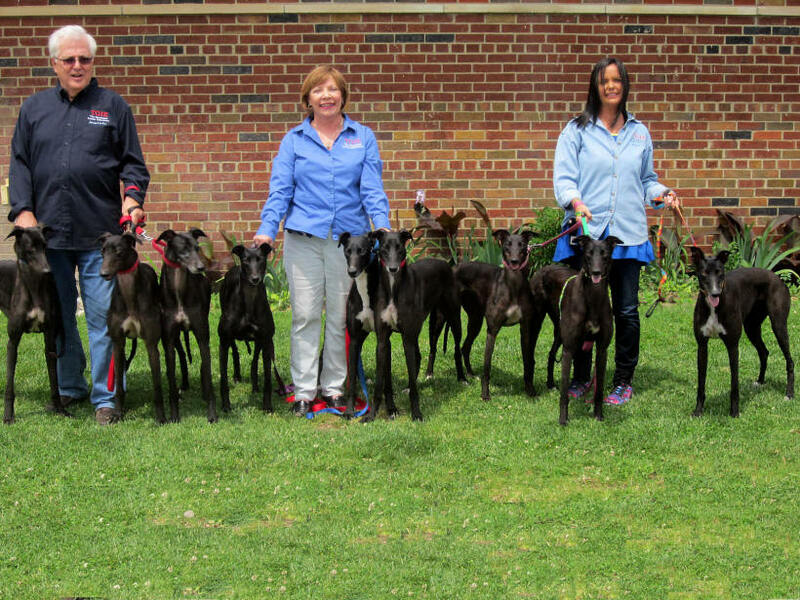 Although we take black greys into the program in every session, once a year, we will continue our efforts and welcome twenty greyhounds... ALL BLACK! 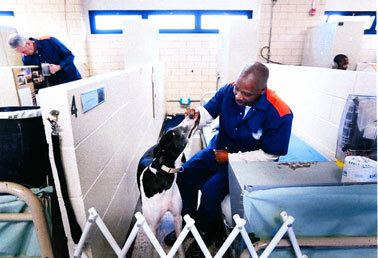 Join us, by calling one of our adoption partners and say "I'm interested in adoping a black greyhound!" They're waiting for your call! 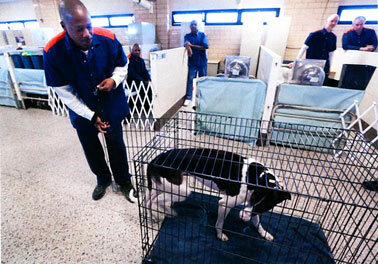 This is a story from the Detroit Free Press by Paul Egan and the photos are from Fress Press Photographer Romain Blanquart. It appeared in the paper and on the web December 21, 2015. Here is a link to the story and more photos Article Link.